This guide written by Ted Ling brings together information about archival records created during the Commonwealth period of control over the Northern Territory which lasted between 1911 and 1978. It includes information about archives held at the Darwin, Brisbane and Canberra National Archives offices, and the Northern Territory Archives Service in Darwin and Alice Springs. 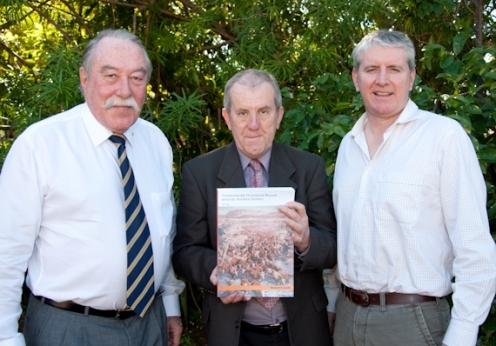 On 1 July 2011 a valuable guide to Archives for the Northern Territory was launched at the Darwin office of the National Archives of Australia. 1 July 2011 marked the 33rd anniversary of the Northern Territory Government and also the cessation, 100 years earlier, of the administration of the Northern Territory by South Australia. This guide brings together information about archival records created during the Commonwealth period of control over the Northern Territory which lasted between 1911 and 1978 and includes information about archives held at the Darwin, Brisbane and Canberra National Archives offices, and the Northern Territory Archives Service in Darwin and Alice Springs. There are many record series which are either split between Commonwealth and Northern Territory Government Archives, or are related to record series held in the other archives, and therefore this is a valuable and important guide for anyone researching any topic relevant to Northern Territory history. 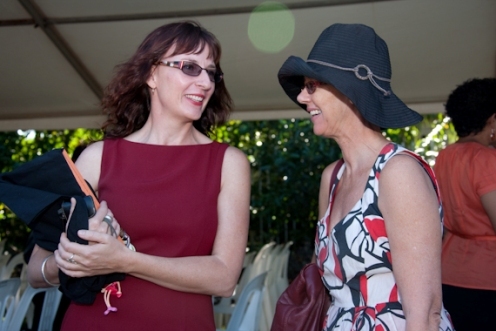 Attending this function were many notable Territorians, dignitaries, historians and researchers, current and former Directors of Archives and staff of both the NAA and the Northern Territory Archives Service. His Honour Mr Tom Pauling AO QC, Administrator of the Northern Territory at the time of the launch, reflected that, "the guide helps researchers open the door of discovery to a variety of topics of interest to Territorians, including Aboriginal people, customs, immigration and population, law and order, and Territory personalities". Author Ted Ling, an historian and archivist, spent many long hours delving into the records and listing them to reveal the unique and rich history of the Territory. The minister added, "the release of this guide highlights the Gillard Government's commitment to making the archives of the Northern Territory more accessible". Katherine Hamilton is in charge of Access and Promotion at the Northern Territory Archives Service. Prior to this appointment she worked for 12 years at the National Archives of Australia as a Reference Officer. This gives her a unique insight on how complementary the National Archives of Australia and the Northern Territory Archives Service are, hence the importance of this newly published guide which considers records beyond their current location. Mickey Dewar has had a long association with Archives researching many topics of history. Her latest publication 'Darwin - no place like home' won the Chief Minister's NT History Book Award . The guide is available in hard copy in limited release through the National Archives of Australia, and on the National Archives of Australia website.